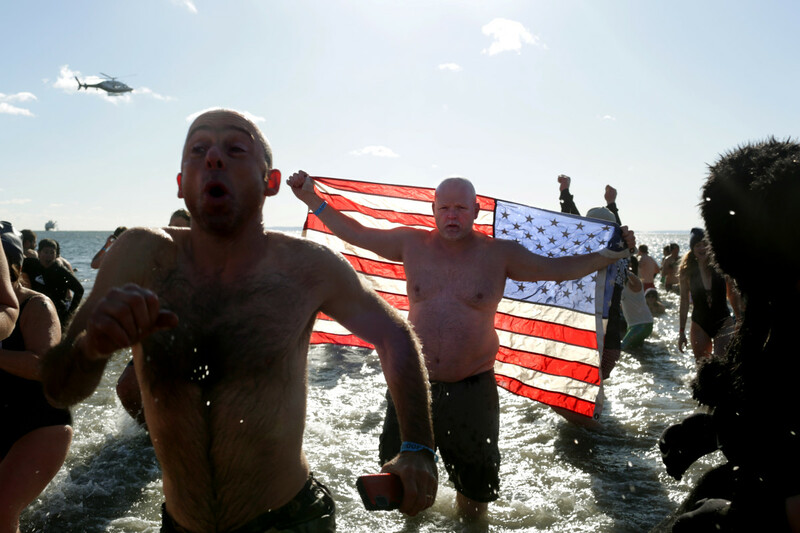 Polar Bear Club swimmers make their annual icy plunge into the Atlantic Ocean on New Year&apos;s Day at Coney Island in the Brooklyn borough of New York City. 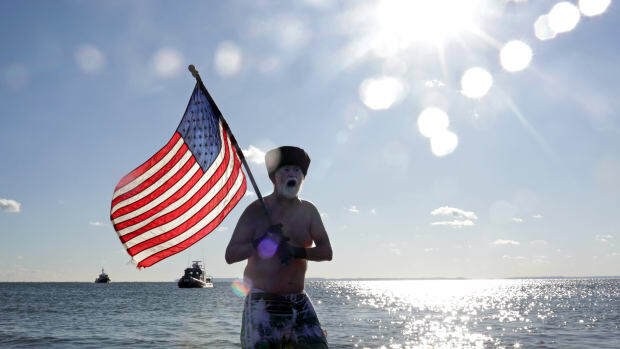 A Polar Bear Club swimmer carries an American flag as the group makes its annual icy plunge into the Atlantic Ocean on January 1st, 2018, on Coney Island in the Brooklyn borough of New York City. Costumed dancers participate in the annual West Indian Day Parade on September 3rd, 2018, in Brooklyn. 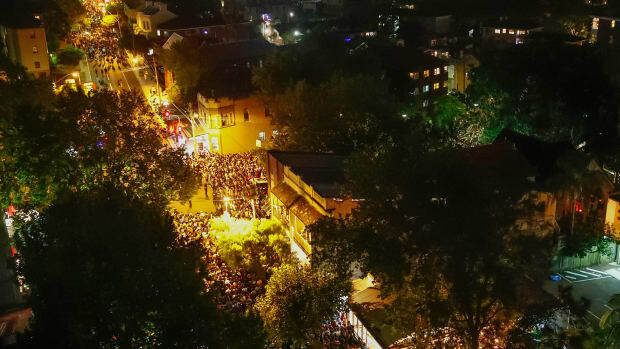 The parade is one of the biggest celebrations of Caribbean culture in North America. 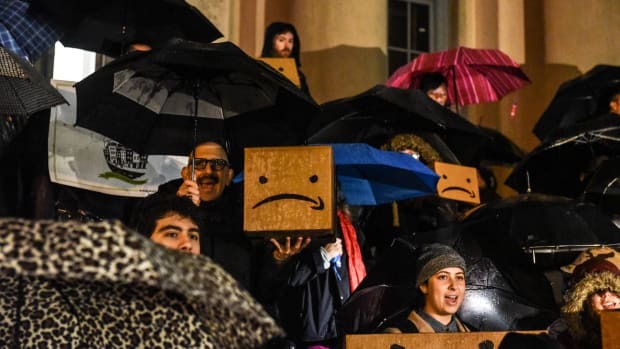 People opposed to Amazon's plan to locate its second North American headquarters in New York City protest at the courthouse in Queens on November 26th, 2018. 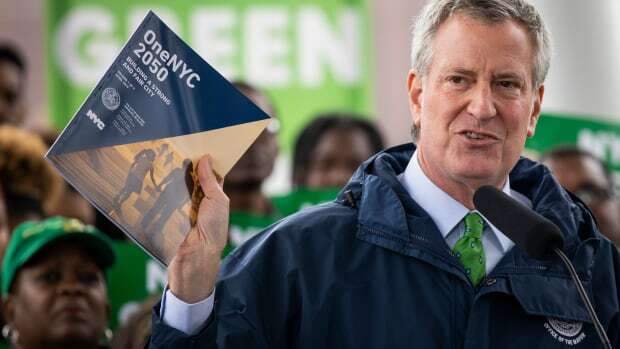 New York City Mayor Bill de Blasio speaks about the city's response to climate change at Hunter's Point South Park on April 22nd, 2019, in the Queens borough of New York City. 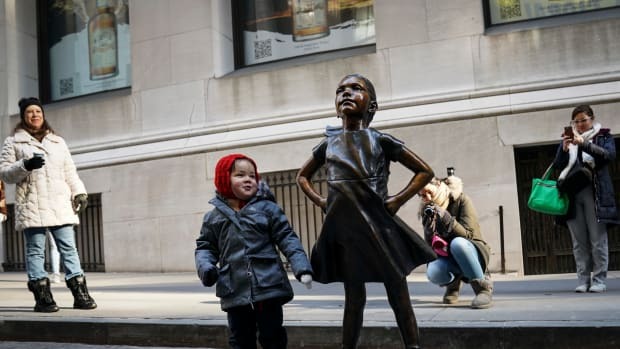 A child stands alongside the Fearless Girl after a ceremony unveiling the statue's new permanent location outside the New York Stock Exchange on December 10th, 2018. Crowds of people pack the streets as they leave McMahons Point after viewing the midnight fireworks display on New Year's Eve in Sydney, Australia.